It’s not a good day for cops; two have been arraigned before a police tribunal and the other is fighting for his life. At the Police Training School in Belmopan this afternoon, the tables were turned on two officers. 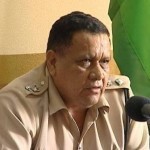 The vocal president and vice president of the Belize Police Association were arraigned for disrespecting their superior; the commissioner of police and for disobeying a command. In the eyes of their superiors they had erred by going public, resisting the hasty transfer of other officers. Corporal Eldon Arzu and Sergeant Edlin Lorenzo who are now interdicted from the force will be tried by a police tribunal. News Five’s Isani Cayetano reports. 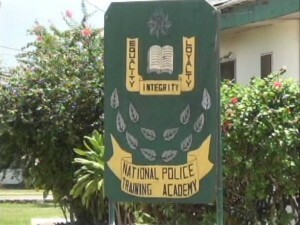 The arraignment of Corporal Eldon Arzu and Sergeant Edlin Lorenzo, president and vice president of the Belize Police Association, at the Police Training Academy compound in Belmopan this afternoon, was fraught with irony. 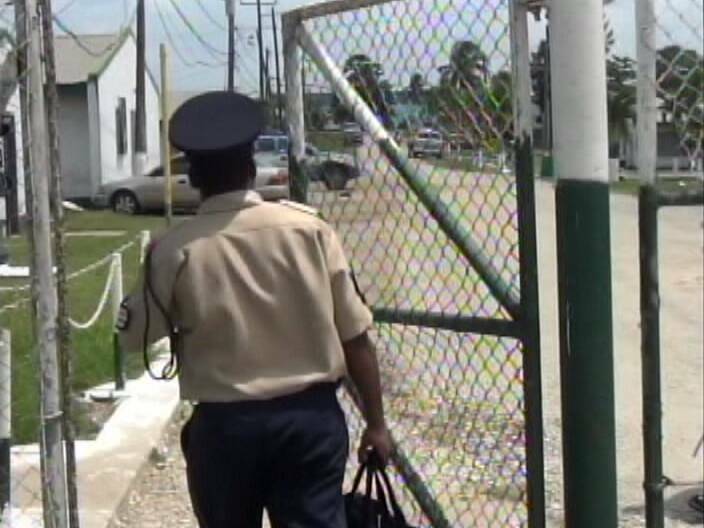 Like their colleagues, the duo was educated on this campus where they both learned the fundamentals of law enforcement, the criminal code, as well as the Constitution of Belize. Today, however, the officers were not passing out. Rather, the pair has been cited for breaching the Police Association Rules. 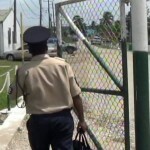 In representing the group’s members, the trio of junior officers, including Sergeant Hendrick Williams, took to the media last week to ventilate concerns about the abrupt transfers of their coworkers. 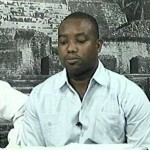 Their actions have resulted in the interdiction of two of the association’s executives. At one o’clock this afternoon Sergeant Lorenzo drove up on Forest Drive, parked his vehicle in front of Westrac Ltd., and crossed over to the entrance of the training compound. He then proceeded along the main road where he was joined by an un-uniformed Sergeant Williams. Moments later, another vehicle arrived in front of the guard hut, this time carrying Corporal Arzu in the front passenger seat. Both men have been summoned before a tribunal of their superiors, overseen by Senior Superintendent Miguel Guzman who is adjudicating the matters. 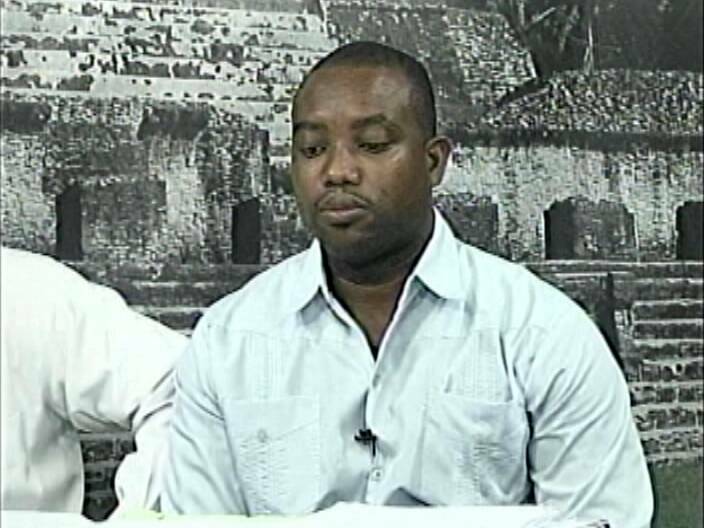 The complainant or prosecutor in the matter is Lyndon Flowers. 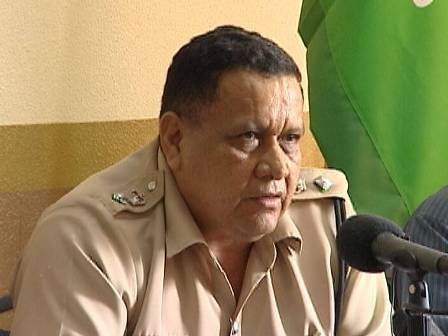 Corporal Eldon Arzu has been charged for being disrespectful in word to a senior officer, while Sergeant Edlin Lorenzo has been accused of willfully disobeying a lawful command. They both pleaded not guilty to the charges and exited the compound less than an hour later. The accused officers are each entitled to one defender no higher than a sergeant and their cases have been adjourned to August seventh for Sergeant Lorenzo and August ninth for Corporal Arzu. Reporting for News Five, I am Isani Cayetano. 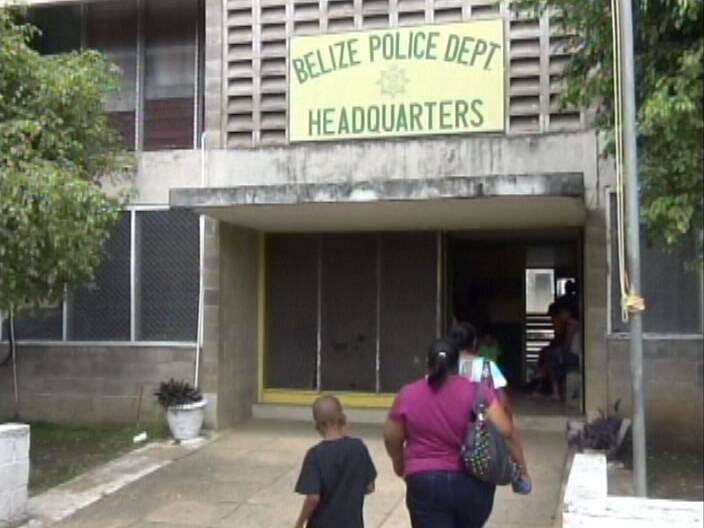 On Tuesday, the National Trade Union Congress of Belize came out in support of the two embattled police officers. Tonight there is word that the N.T.U.C.B. will be staging a demonstration this Saturday to show solidarity with the association. We have so many more urgent law enforcement matters to worry about than protecting inflated egos in the command of the police. Saldivar or Barrow should call ALL these personalities into a locked room and give them all a good lashing for being petty and public about it, make them shake hands and promise to be good. 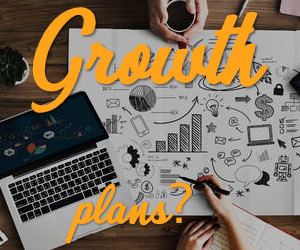 Then tell them to work out all the problems in private and report to him with a mutually acceptable resolution of the underlying transfer problem within a week. This childish escalation is only going to make the gulf between the rank and file and the leadership bigger and more bitter. The result will be demoralized police and worse law enforcement. And that’s if things go well! If they go poorly, the officers will use their trial to put the high command on trial, and that will get uglier than I care to think. I keep the tell unu Since their is no leader in the country this gov. Has gone rogue nothing but corruption total lack of leadership mi po Belize unu Betta wake up belizeans enough is enough lets get a new leader who can do the job. 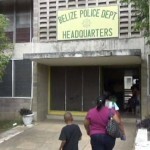 belize police department will never get ahead,unless they decide to move out most of those old fellow that has been complacent for years, folks like guzman, henderson, and few others need to go, along with the dumb..ss minister of police, let the ypong ,more educated officers take charge for a while, belize is not under british ruling anymore. Mr Guzman is a good man and I will respect him. I know the Police Dept will deal wisely and honestly with the rebellious ones. Justice falls on them that deserve it! It is ironic that the persons who swear to uphold and protect the constitution are afforded no protection by it by the mere fact that they swore that oath. It is time to change these archaic laws. The Ministry of National Security is short-sighted and has not even considered the cause of this problem – that there is no proper human resource management in the Police. In fact, police officers are not seen as human resources, but rather as numbers who must blindly follow orders. Never mind the families of our Police officers, they are not even considered. Police officers, I support you! What Happened to Transparency Mr. Barrow? This government made me believe they were different and I am so disappointed. Are we going back to the Fidel Castro days where there is no freedom of Speech??? Mr. Guzman was in a position for many years ago to make changes in the department that would have been for the betterment of the entire department and he did not. Year after year no changes were made. He just sat there and did nothing — yet he claimed to have been looking out for the welfare of the members of the department. I remember a specific case — an officer acquired a bachelors degree and wrote to recieve his increments for that degree. He was told by Mr. Guzman in a letter that he cannot be issued with the increments because the police regulations does not speaks to officers acquiring Bachelors Degree. Because they were other officers in the Dept who have recieved increments for Bach Degree — the officer wrote the minister and the minister gave them directives to grant the increments. Now this is the funny part — in a meeting with Mr. Guzman and he officer — the officer was told that not because he has a Bachelors Degree means that he will be promoted. That officer was working at Patrol Branch in the city — that same week — the officer was posted at the then PM’s house to work — and he was told by another senior officer that he should be proud to be working security at the PM’s house with his Bachelors Degree!!! This mind set has been in the Dept for years… If you are educated or speak up for your rights you will be punished. It’s f up how Dean Barrow can find time to negotiate with gang members and yet can’t find time to listen to these officers who risk their lives on the street everyday to protect the Belizean people.The only time he’s on the news is when it’s something affecting his immediate family. I said it before and I will say it again. Dont push the police on the wrong side. Thats how the “zetas”cartel was found. And also terrorist. How do you think these police feel? After risking there lifes leaving their family alone to save others and then because they dont take &#!+ they get punish? If this happens to them imagine you step on the wrong shoe? What will happen to you? This is not the time to have Policemen thinking that they are being ‘chanced’ and can’t even air their greviences. Somebody in authority needs to start listening. Shame on the government if they don’t do something about this abouse of our police officers. You always hear the senior officers abusing their power and di overwork the young police officers. Enough is enough, the commissioner should set the example and show some respect to the officers who work along with them. Each police officer deserve a certain amount of consideration to their home and families. They must know what it feels like to be demoralized and abused because they were junior staff at one time too. The Commissioner has years of experience and should know better, instead of punishing the officers for doing what is right, they should sit down and work things out like an educated person. Sad days mein, sad days.God bless the Police, they need it. 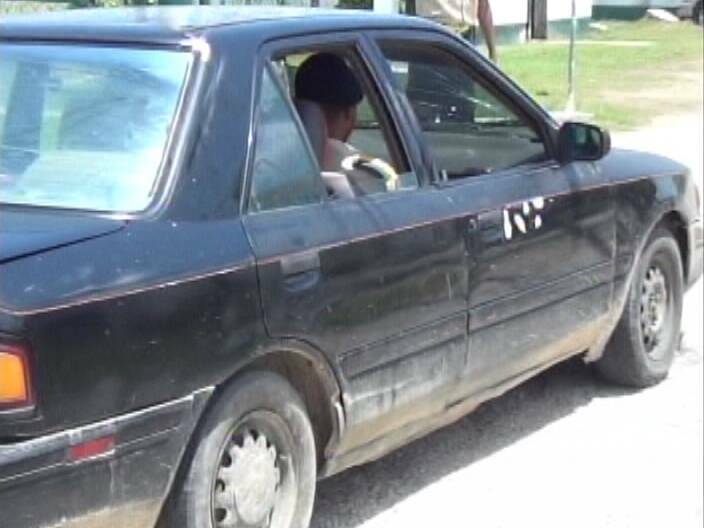 Feud between male/female taxi drivers escalates to court…and shooting?